Glazed corner display cabinet in "medium" fume English oak with carved "rose" door knobs. Our carved "Beaver" trademark can be found on the side of the cabinet. 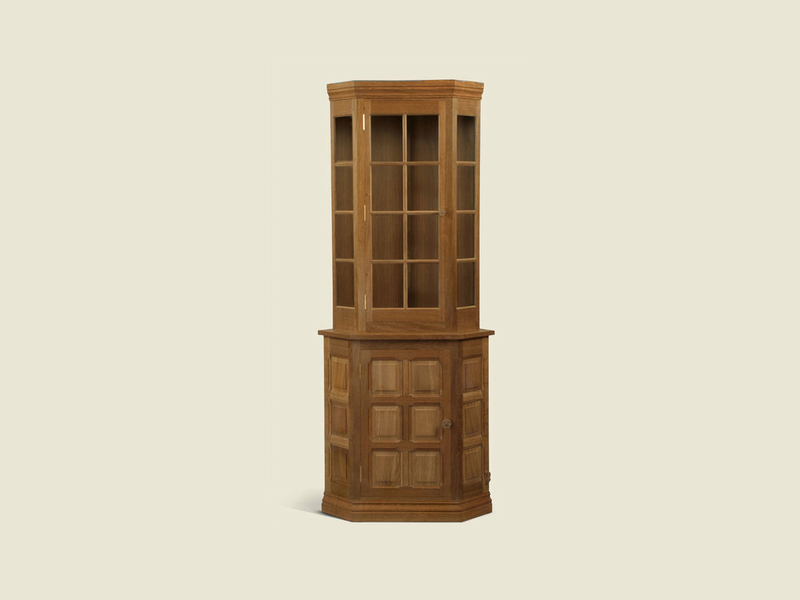 The cabinet is supplied with 3 adjustable glass shelves and 2 adjustable wooden shelves in the panelled lower cupboard. If this design is not what you had in mind, or you would prefer a different panel arrangement please just get in touch with us we will be pleased to discuss your ideas with you.